Two years after the Japanese release Battle of Gods is going to be officially translated into English and shown in a select few cinemas around the USA. The movie will be released thanks to FUNimation who worked on translating the other Dragon Ball Z series. It’s taken a long time to get this far but it’s amazing news that FUNimation didn’t give up on the project. 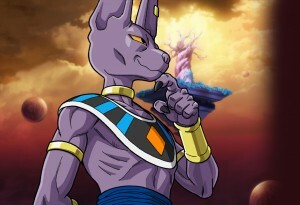 Dragon Ball Z Battle of Gods has already been translated and shown in dozens of other countries around the world so it’s strange how the English release has taken so long. It’s unlikley that Battle of Gods will be released in the UK but will see a DVD / Blu Ray release and at that time we might see a few indipendant cinemas doing limited shows. The USA show times will be limited to a select handful of cinemas on August 5th, 6th, 7th, 8th 2014. Maybe once it’s been released on DVD Toei Animation will move forward on another movie or TV series as several have been rumoured over the last few years. Not just the USA, all of North America including Canada.